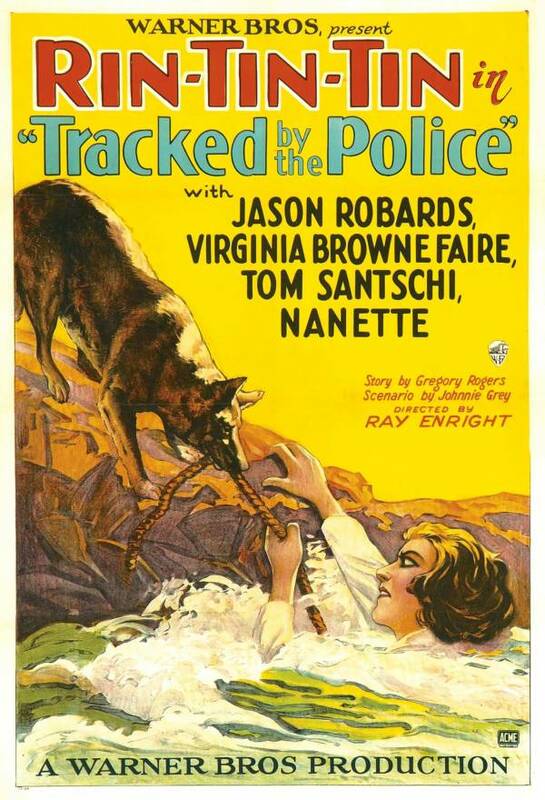 Tracked by the Police is a 1927 silent film produced and distributed by the Warner Bros. with a story written by Darryl Zanuck. It stars dog actor Rin Tin Tin. Ray Enright directed with 'Rinty's' costars being Jason Robards, Sr. and Virginia Brown Faire. The film may have had a Vitaphone sound effects/music track that is now lost. The film is preserved at the Library of Congress. Prints of Tracked by the Police are held by George Eastman House and the Library of Congress. This page was last edited on 13 March 2018, at 15:13 (UTC).